Quality Golf Founder Tony Taylor (pictured right) is a turf manager who made the leap to the Asian golf market 20-plus years ago. In the concluding instalment of a two-part feature originally published in GCM, Bangkok-based Taylor shares lessons in perseverance and management learned through a different lens. Some 26 years after arriving in Thailand, I’m still here! I’ve also worked in Singapore, Vietnam, Cambodia, Bangladesh, Indonesia, Hong Kong, India and Japan. In those years and those countries, I’ve been able to see many things through a new lens, including what it takes to be an effective, successful golf course superintendent. This know-how – which was often hard-won – can be put into practice by superintendents working in any part of the world. Following are the remaining four. 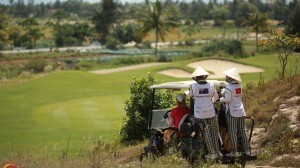 As the construction boom in Asia continued, there was so much work that I eventually started my own company, Quality Golf. 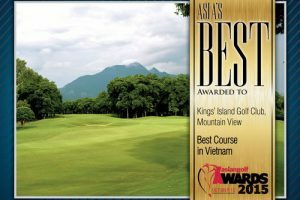 I hired other foreign superintendents along with turf managers who had found their way to Thailand and other parts of Southeast Asia on their own. As is inherent in our profession, a community formed in which all of us would share experiences, challenges and ideas. From these relationships, I learned another invaluable lesson: despite the often steep learning curve that comes with being a superintendent – especially in a foreign country – we must never compromise our standards. Those superintendents who leaned on their education and experience and never wavered on their standards of excellence are the ones who are still doing well in Asia today. Several parties – owners, committee members, staff – rely on the superintendent’s ability to deliver, and one project can colour a superintendent’s entire reputation. Always holding ourselves to the highest standard is thus in others’ and our own best interests. 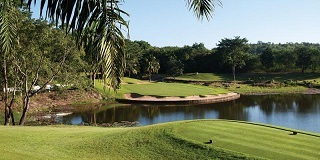 The par-three second hole at Panorama Golf Club in Nakhon Ratchasima. 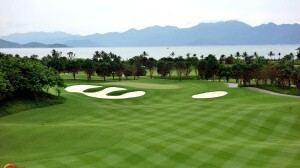 The planting and maintenance set-up of the 18-hole course was among Taylor’s first jobs in Asia. He returned to work at the club as senior superintendent in 2009. 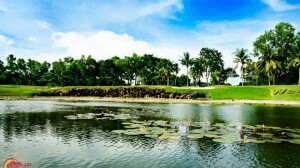 One of my first jobs in Asia, Panorama Golf Club in Nakhon Ratchasima, Thailand, still stands the test of time.  The greens are considered the best in the area, the course annually hosts Thai PGA Tour and Thai Senior Tour events, and the original superintendent I trained is still there. Not compromising your standards extends beyond agronomy: From the beginning of my time abroad, I was known for professionalism, and that has kept me working in this part of the world for more than a quarter-century. 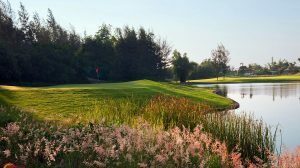 I received the offer to oversee the planting and maintenance set-up of Panorama Golf Club almost simultaneously with the completion of Barrington Golf Club. I was feeling confident and excited to put everything I’d already learned abroad into practice. Because Panorama was closer to a city, I thought the experience would be more like what I’d been used to in the US. Nothing could have been further from the truth, however. At the new site, many staff members had prior training from others. Some of the training was sound, but some of it was actually detrimental to the project. On my first day back after a vacation, I was up at dawn to survey the course. As I walked on the first tee, I noticed it looked quite different. The turf was too high. 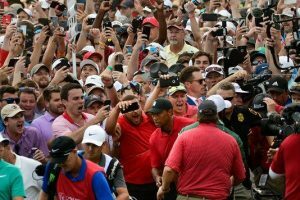 I peered down the fairway … and my heart sank. All the definition between the fairway and rough was gone. I was dumbstruck. Just then, my assistant came riding up to me with a big grin on his face. Baffled, I asked why the grass was so tall on the tees, fairways, rough and greens. He replied that rain had prevented mowing for a week, and when the crew had started to mow again, it was scalping the turf, turning it yellow and brown. The general manager had told the crew just to stop mowing until I returned. I took my deep breath as I’d resolved to do. But my reply still came out too forcefully. My assistant’s smile vanished and, because of my tone, I lost his attention. I then had to take the time to bring him back to a point where he was willing or perhaps able to listen to me. I had made a bad situation worse. The lesson is this: Even after we’ve made strides toward bettering ourselves, it is continuous work to apply what we’ve learned. Superintendents must recognise this and be committed to continuing to improve, always acknowledging our weaknesses so as to keep improving. Our on-the-job development is not a journey with an end. After all, we are in a rather unpredictable line of work, dealing with acres of land, the fickle moods of Mother Nature and the fluctuating emotions of people. We must be able to manage them all, and this requires not slipping into autopilot, and being open to confronting any situation that may arise so we can provide education that will prevent it from happening again. Trying to get staff in Asia to do things ‘American style’ or ‘Tony’s way’ was impossible. 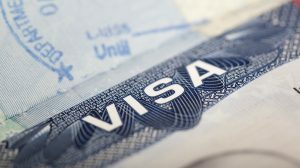 I was not in America, and the people I was working with were not American. I had to open my eyes and see who they were, and that meant embracing their culture. 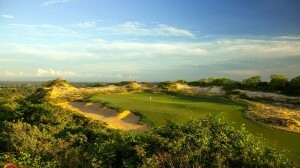 The ability to adjust to one’s setting is a skill every superintendent working in a foreign country must possess. I think it’s just as essential for superintendents working in the States. Though our industry has ‘standard’ ways of doing certain things, each course has its own personality that’s a product of its leadership and the team that cares for it. Taylor (centre, white shirt) at a Thai superintendents seminar at Green Valley Country Club in 2017. 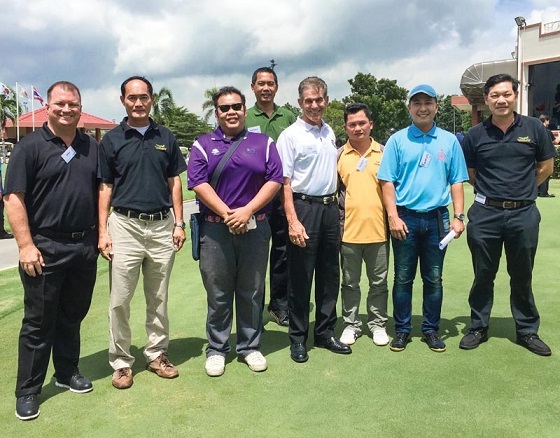 Among those photographed are superintendents who currently work for or were placed by Taylor, including Brian Distel (far left), superintendent at Thai Country Club. When getting started at a new course or on a new project, be in the present time – don’t compare people or procedures with how things were done ‘on my last job’ or ‘in America’. There’s nothing more off-putting to a new team than being compared to an old team. 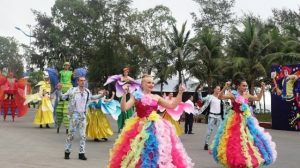 Several fellow Americans made this mistake in Asia and were not so well received. Let your past experiences inform your work, and communicate these insights clearly and respectfully. But also be open to learning from those who have a history with any site that’s new to you. We’ve all run into this obstacle: the pre-conceived idea. Or, as I like to call it, the ‘fixed idea’. This is especially prevalent abroad, and I’ve seen it take many forms, from: ‘We’ve always done it this way’ to ‘Yes, sir’. Such situations are no doubt frustrating, but responding from frustration – taking a ‘my way or the highway’ approach – isn’t constructive and doesn’t inspire co-operation. After years of encountering this issue, I’ve learned the solution boils down to training, training and more training. You must take full ownership of and responsibility for your team’s understanding. This is also important in dealing with industry leaders, owners, members or long-time employees whose co-operation you need to achieve a result. I’ve found a simple balance of theory and practice helps the trainer get the most from the trainee. Provide enough of the theory behind why a particular task is done. Use diagrams, photos and other visuals to aid comprehension. Balance information with practice. After you’re sure your staff understands the theory behind a task, take them out to the course for practical application. Create an environment that nurtures learning and welcomes questions. It takes a great deal of patience to train people this way, but the pay-off is substantial. 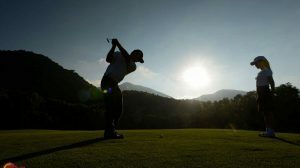 I once did a series of irrigation workshops at a course in India, and after the third training – during which I’d used plenty of visuals and taken the team out on the course to apply what they’d learned – one of the staff members approached me. He told me he was a third-generation waterman – both his grandfather and father had worked at the club. “This is the first time anyone has told us this so clearly!” he announced. The look on his face was priceless. From then on, he was one of my most trusted and valuable employees. 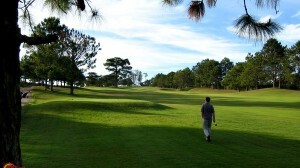 For me, preparing sporting fields for the game of golf for people of all walks of life is an honour. I hope these lessons can help you avoid or better navigate a few challenges, enhance your career, and find sustained success. Golf course maintenance can be a passion of a lifetime. It has been mine. 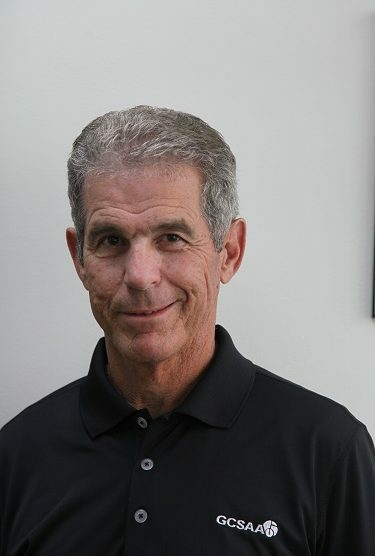 *Tony Taylor, CGCS, has been Executive Director of Quality Golf in Thailand since 1994, and is the senior superintendent at Panorama Golf Club in Nakhon Ratchasima, Thailand. 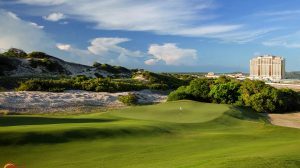 A 28-year GCSAA member, Taylor has been the senior consultant superintendent for more than 20 televised golf tournaments in Southeast Asia, India and Japan. 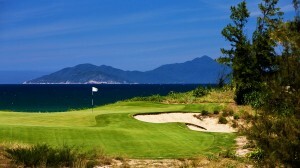 In the course of his 26 years in the region, Taylor placed 18 superintendents around Asia. Taylor grew up on a golf course, starting as a caddie in Pittsburgh. He graduated from Lake City Community College with a degree in golf course operations in 1977.